I. What is a Motif? A motif is a symbolic image or idea that appears frequently in a story. Motifs can be symbols, sounds, actions, ideas, or words. Motifs strengthen a story by adding images and ideas to the theme present throughout the narrative. Throughout a novel, the main character considers buying a typewriter but decides against it, as they are too expensive or old-fashioned. Deep-down she wants one, as she has always dreamed of being a writer. The typewriter emphasizes the theme of avoidance and the protagonist’s temptation to pursue a different career. Throughout a story, there is surprisingly bad weather—snow, freezing rain, and even a tornado. These weather conditions further emphasize the larger theme of nature’s power over humans. Throughout a poem, a man wears a tuxedo for a variety of occasions: his wedding, his father’s funeral, and his own daughter’s wedding. The tuxedo becomes a symbol of his changing duties as a husband, son, and father as he ages. As can be seen from these examples, motifs by definition are repetitive throughout a narrative, to emphasize larger themes and ideas. Whereas themes hover above a story as ideas, motifs dive into prose and poetry with clear and repetitive images, ideas, and symbols throughout. In their repetition, motifs emphasize what is most important about a story. Motifs provide compositions with a traceable pattern: if a red dress or the idea of guilt or even a song continues appearing throughout a narrative, chances are, it means something. Motifs allow authors, writers, and directors to create a more poetic and structured narrative, cluing in readers and audiences to symbols of larger ideas. Motifs are partners to themes, as repetitive images and symbols emphasize the overarching themes of the work. They seemed to be able to choose. We seemed to be able to choose, then. We were a society dying of too much choice. Another motif which examines the theme of freedom in this novel is the idea of power and control. But remember that forgiveness too is a power. To beg for it is a power, and to withhold or bestow it is a power, perhaps the greatest. Maybe none of this is about control. Maybe it isn’t really about who can own whom, who can do what to whom and get away with it, even as far as death. … Maybe it’s about who can do what to whom and be forgiven for it. Never tell me it amounts to the same thing. Power and control are discussed in terms of forgiveness, telling a story, and temptation as they are repeated throughout the narrative. Motifs are just as powerful in movies, advertisements, and songs as they are in poetry and prose. In this quirky short film, the word “wonder” is a strong motif in various forms: the letter W, Wonder Bread, Wonder Woman, and Stevie Wonder all make appearances, to name a few. The repetition of “wonder” serves to emphasize larger themes, such as insecurity and the past’s ability to haunt us. Movie trailers are a great source of motifs, as they flicker through numerous highlights of the film. 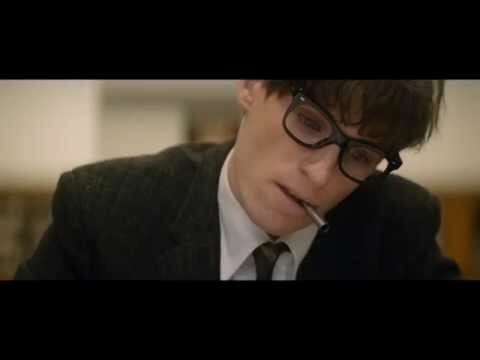 Motifs in The Theory of Everything include the discussion of time, images of Steven Hawking’s shaking hands and struggling body, and sweeping images of space and the universe. Symbols refer to any images or objects that symbolize a larger idea or theme. A rose can be a symbol of romance or the color green can be a symbol of jealousy. The difference between a symbol and motif is small and simple: motifs are symbols that recur throughout a work. Whereas a symbol can stand alone in one isolated scene or sentence, motifs by definition must repeat throughout a composition. If a story’s main theme is greed, numerous motifs could highlight this. Imagine the story is about a greedy businesswoman who owns a restaurant. The protagonist is frequently seen counting money. She lowers her staff’s pay numerous times. Lastly, she frequently purchases new, shiny, showy things. These motifs emphasize greed with images of money, thrifty actions, and materialistic purchases.